The soprano sweet potatoes benefit most from the use of the dense, tropical hardwoods. Cocobolo, one of the most beautiful rosewoods in the world, has been exceedingly rare for a few years now. This old stock has been in my shop attic for six years now and is likely to be the last. I will miss working with this wood very much when it is gone. 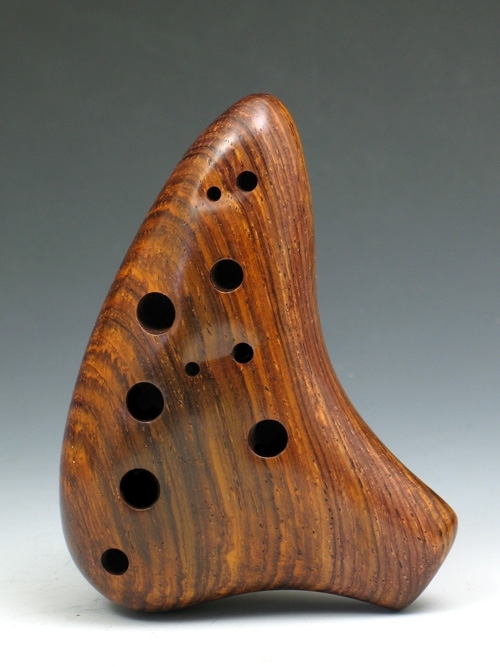 The ocarina has a beautiful tone and includes extra holes for low E and F#.